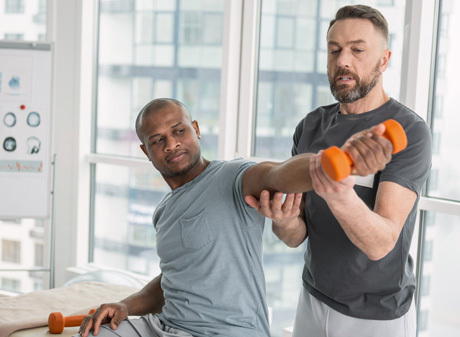 Exercise rehabilitation is a specialty that promotes mobility, function, and quality of life through examination, diagnosis, prognosis, and physical intervention. Exercise rehabilitation is critical to the success of your recovery after an injury or joint replacement surgery. It's hard work, but exercise rehabilitation can help you regain your strength and stamina and return to all the activities you love. Exercise rehabilitation helps you recover from orthopedic injuries, surgery, and pain conditions. Learn more about the exercise rehabilitation treatments we offer at Lynx Healthcare. Our exercise rehabilitation therapists in Washington are ready to help you live a pain-free life. Contact us today to schedule your appointment.